Charger-City Exclusive Multi-Compartment Hard Case for 5" GPS Garmin Drive 50 51 55 DriveSmart 50 51 55 DriveAssist 50 51 55 DriveLuxe 50 51 55 Nuvi 50 52 54 55 57 57LM 58 T LM LMT SatNav GPS Receiver. 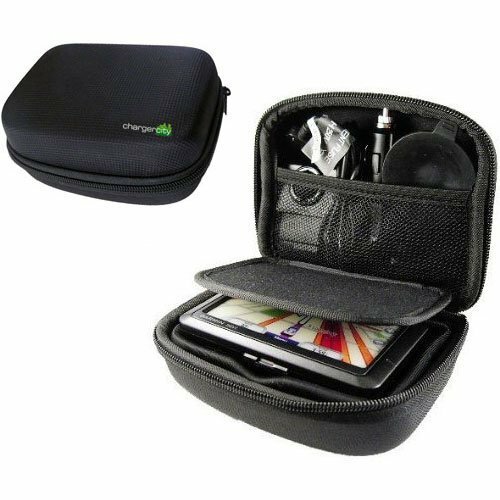 Protect your valuable GPS device with the ChargerCity 5" Hard Carrying Case GPS. The rugged exterior protects your GPS from bumps & scratches, helping you to get a prolong your GPS life.